Before I start waffling on, let me just say. I know, like skincare, haircare can be a very difficult product to review and take recommendations on. Different products will respond to different hair types and conditions and so something that works for me, wouldn’t necessarily work for you. As way of introduction I want to tell you a tiny bit about my locks. I have naturally curly hair. I have tonnes of hair but it is very fine. It’s also very frizzy and can get dry and limp at times. For my curls to be at their best I need something that is hydrating but lightweight so it doesn’t weigh my hair down and this is where Semi DiLino Moisture range steps in. 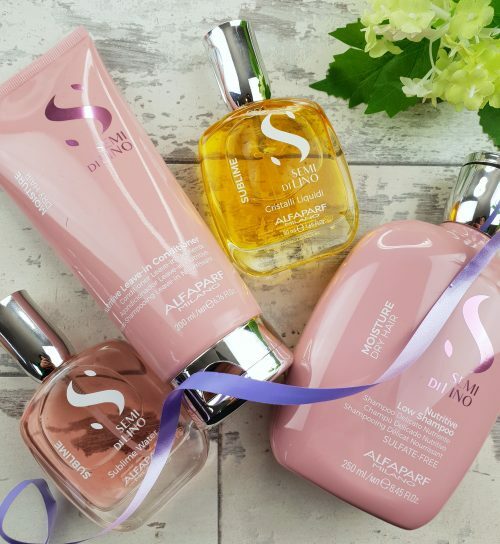 Alfaparf Milano have recently renewed and enhanced their Semi Di Lino brand (including fab new packaging) which now includes 4 different ranges. Diamond is for normal hair, Moisture for dry, tangled hair, Reconstruction for damaged, fragile or brittle hair and Sublime for all hair types. They have also come up with a deadly three step in salon system. I had this done a few months back and my hair was delish after wards. 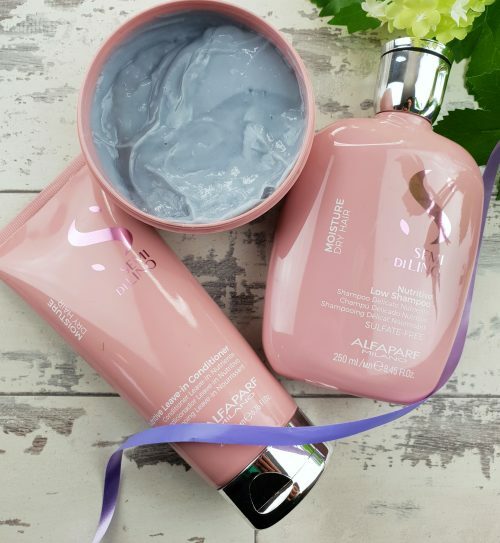 The first step is a ‘Detoxifying‘ mud treatment for both your hair and scalp. This will basically lift all impurities from your hair leaving it ready for the next step. The second step is ‘Care’ which is where the stylist will diagnose what treatment will best suit your hair. You can choose from a treatment from the Diamond (increase shine by 37%) Moisture (increase in combability of 117%) or Reconstruction (14% increase in hair strength) range. The final step is my absolute fave, the ‘Gloss‘. This is the finishing touch which will definitely add radiance and shine no matter what the hair type or concern. The 3 step treatment is really beautiful. The one thing I would say is to get the Detox treatment done before you get your colour done as chances are it may strip some of the colour. When I had my treatment done my stylist did add some pigment back into my step two mask to restore the colour and it seemed to work great but it is something just to be aware of. So let me give you a bit of info on the Moisture range which I have been using. Nutritive Low Shampoo (€14.25 for 250ml) is a sulphate-free shampoo that cleanses, illuminates and revitalises. This is such a beautiful product. I always feel it gives my hair a really deep clean, so much so that my hair actually squeaks after using this. I do find my hair feels a little too clean (if that makes sense) after this and so I definitely need to use a conditioner after this but it is the perfect prep for a nice hair mask or conditioner. 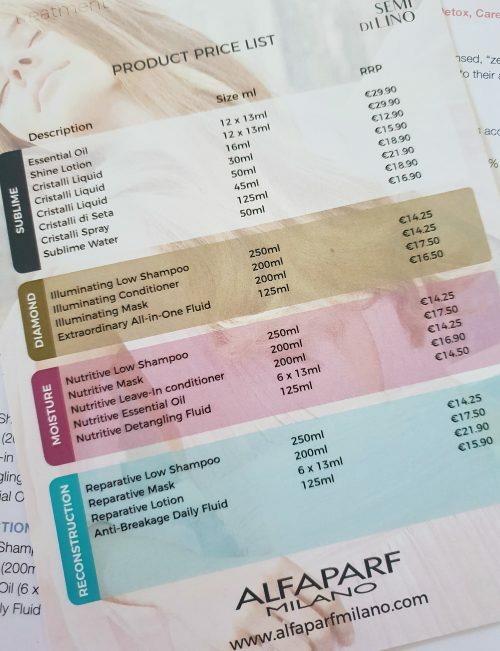 Nutritive Mask (€17.50 for 200ml jar) is a deeply hydrating and moisturising treatment that most definitely works to leave the hair feeling refreshed, soft and frizz free. This is such a lightweight product so great for hair that wants the moisture without the heaviness. This is also the product that your hairdresser can pop some pigment in for you to give your colour a boost while you leave this treatment to work for 10 to 15 mins. Nutritive Leave In Conditioner (€14.25 for 200ml) is a great product to use after the shampoo and before combing. It really makes your hair silky soft and works great with my curls as a styling product. I am in love. I use this every time I wash my hair and maybe once a week I will use the mask for an added boost. Now on to the best bits. Honestly, if you haven’t tried the Cristalli Liquidi (€18.90 for 50ml and available in other sizes) you need to. This is hands down my all time favourite hair product!!! It works as a serum/oil and promises to illuminate, protect from humidity and create an extraordinary shine. I can verify that it most definitely does all of those things. My hair loves this stuff. I use it before styling on damp hair and then I use one pump daily to tame any frizz. It is a game changer. Oh, and did I mention it smells like a dream! My hair has never been so happy. 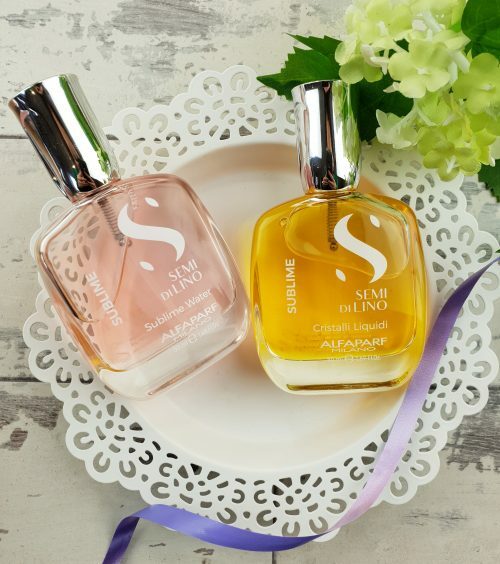 I have always wanted a hair fragrance and so you can imagine how happy I was when I seen the Sublime Water (€16.90 for 50ml). Not only does this smell amazing (same scent as Cristali Liquidi) but it also protects your hair from pollutants. It can also be used on your body. Trust me, you will want to bath in this stuff. So, I think I’ve said enough. Can you tell I am a big fan of the range? These products where gifted to me on the day I went to get my treatment done. However, I have actually used Semi Di Lino for a long time now and have purchased so many of these products myself in the past. Alfaparf Milano is a salon brand. To find your nearest salon you can visit their website. I have also left a full price list above incase you are curious of other items in the range which I didn’t mention already. Have you tried anything from the range? Which range do you think will suit your hair best?